Recently, John Miziolek, Co-Founder of Reset Branding was interviewed by National Post writer Hollie Shaw about Tim Horton's brand issues. You can find the full article here. Basically, Tim Horton's has been attacked in the media and by employee's and franchisees over pay, benefits and operation costs. In the opinion of brand expert John Miziolek, the situation has not been handled well by the iconic Canadian brand and is risking a delicate attachment Canadian's have with Tim Horton's. Read more here. It's martini time! !...ooops, I mean 'practice time'. I finally made it LA! For the next 5 days I will jam, record and perform live at the Whisky-A-Go Go with Paul Stanley from KISS and Don Felder from The Eagles. Super excited to be in Hollywood again and even more pumped to rock it out on the drums with legendary rockstars while I'm here. I recently flew to Montreal to record an episode of my podcast Design Masters Canada. When I landed I was met with that horrible moment when you're standing at the baggage carousel and despite 100 people coming and going, your bag doesn't show up. I panicked, part of my equipment is in that #$%^& bag! I immediately zoned in on 'fixer mode'. I hopped in a taxi, went to the Apple store near my hotel to pick up some equipment, then walked to the clothing district to get some new clothes, then to the hotel....then to some vodka. I tested all my equipment, and everything was in order...and then I waited to hear the status of my missing bag, which of course arrived at 3am. 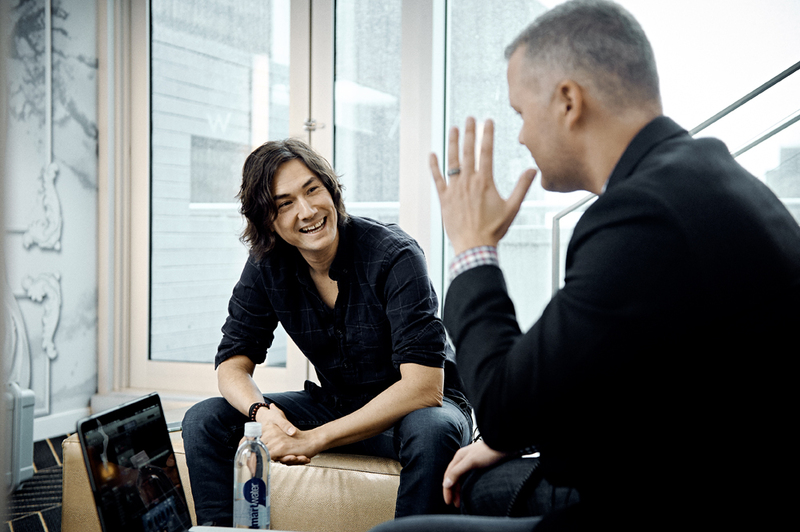 David Usher, the lead singer of rock band Moist, met me in my hotel room where we talked about a lot of great topics. We discussed the environment, David's feelings about creativity and of course music. We even talked about Beavis & Butthead! (a personal favourite of mine as it reminds of my younger brother and I). David was great, approachable and genuinely friendly. This got me thinking about 'celebrities' and whether they really are different than the 'rest of us'. Some of them are, if only in the way they think about themselves, but most of them, if presented with a great idea will see the value in it. I never tried to sell David anything, I was simply interested in learning more about what he's passionate about. A simple conversation. Wouldn't it be great if every great idea could start as simply as that? David has agreed to be the keynote speaker at an exclusive CPG event that I founded, the D Event, happening fall of 2016 in Toronto. If you're interested in hearing my episode with David, you can find it here. David also has a best-selling book out called "Let The Elephants Run". Go get it here! Peace has returned to Canada's grocery aisles. Target Corp., the much-heralded new entrant upon its arrival in Canada, in 2013, has been banished to its homeland, a victim of the fickle Canadian consumer and a hopeless supply chain that practically guaranteed failure. During Target's short, two-year tenure, Canada's Big Three grocer-Loblaw, Metro and Sobeys-Walmart and Costco. Target, of course, wasn't much of a factor in the assault. Its grocery aisles were practically ghost towns. 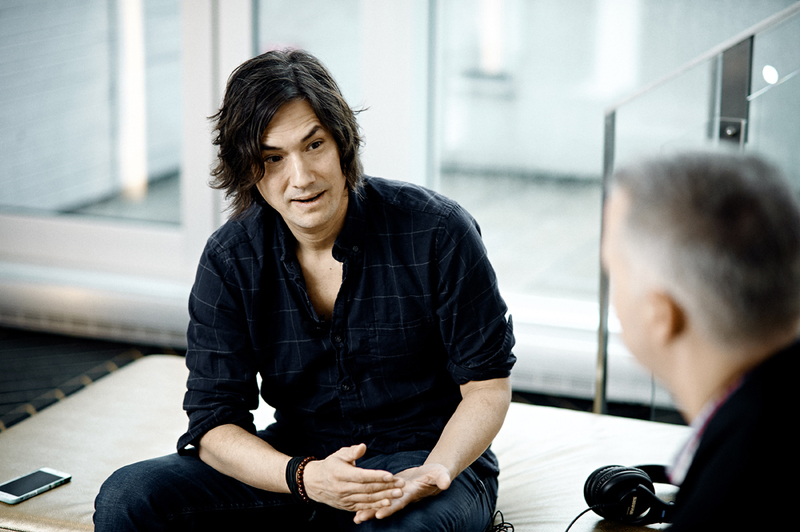 I recently flew to Montreal to be on location to record an episode of my podcast Design Masters Canada, with David Usher. For those of you that don't know, David is the lead singer of the rock band Moist, has sold more than 1.4 million albums worldwide, sung in 3 languages, has a best-selling book called "Let The Elephants Run" and is just a really cool guy. The weather in Montreal was crappy, but the conversation was great. We talked about a number of topics including the environment and David's concern about climate change, his recent presentations about creativity and of course, music. It was a lot of fun to talk to David and nice to see a Canadian rockstar so approachable! Check out the podcast! Featured Student Work From Russia! I love featuring student work from around the world! It shows me that creativity is not dead and that design is still a huge part of the world. Marina explains her concept "The range consists of E14 and E27 screw bases and 5 bulb shapes which are clearly visible through the transparent packaging that helps immediately understand what type of a LED bulb you need. The packages are coded with 3 colours depending on color temperature in Kelvin: white packaging colour is for natural light, yellow colour is for warm light and the blue one is for cold light. Also the typography on the front side of the packaging supports the idea of transparancy and includes the short main information about the LED bulbs: a LED type, color temperature, a screw base and watts. On the reverse side all the technical characteristics are written in detail." John Miziolek, President of Reset Branding says "This concept is a wonderful use of materials that really adds some visual interest to a commoditized category. It simplifies consumer choice and provides clarity for sku differentiation." John is also the host and Executive Producer of Design Masters Canada, an iTunes featured podcast that focuses on the best design and branding talent across North America. John regularly features student work on his design website dedicated to the practice of design, called The Next Gen Designers. Paul Attfield from The Globe and Mail asked John Miziolek to comment on the new brand positioning of Canadian icon brand Birks. John Miziolek, President and Co-founder of Reset Branding was recently asked by the Globe and Mail's Paul Attfield to comment on the new positioning strategy of Birks. The following is an excerpt from the article. For the full article at the Globe and Mail, click here. 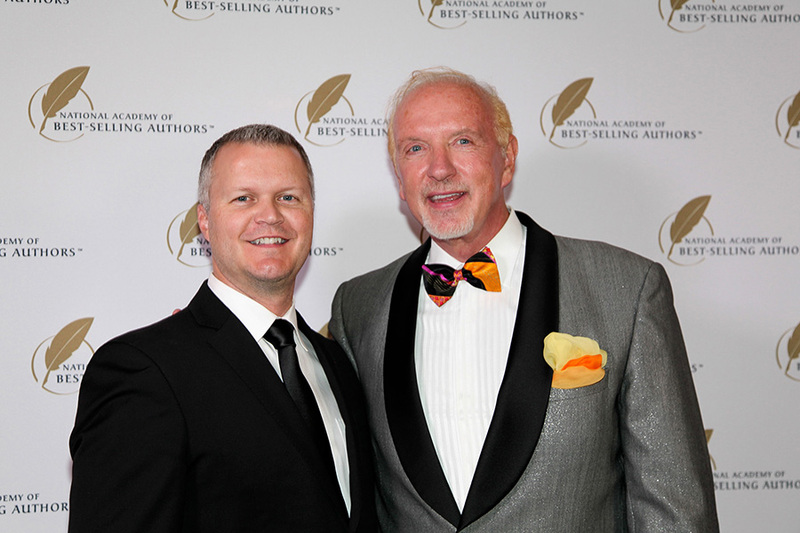 John Miziolek is a best-selling author, an award winning branding expert, and a recognized resource for the media. 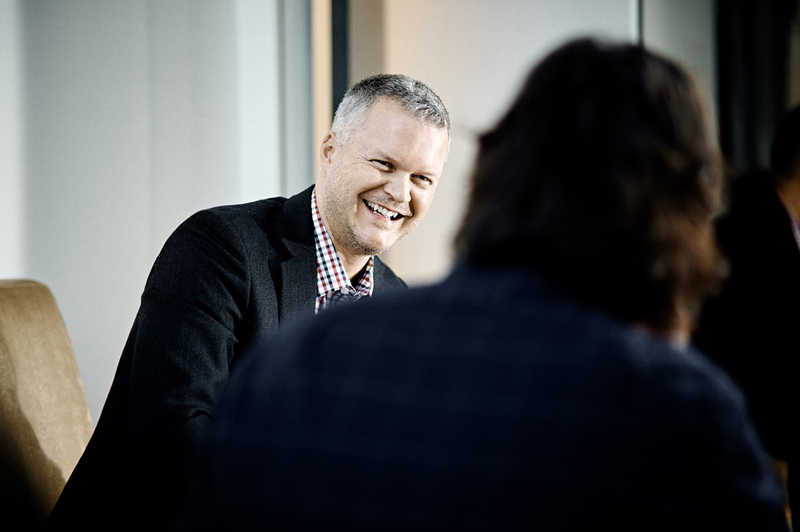 John Miziolek, President and co-founder of Reset Branding and host of Design Masters Canada, was recently interviewed by the Globe and Mail regarding whether or not Canada could benefit from a national branding strategy for food production. “Every year the equivalent of a Canadian population [30 million] joins the middle class in China and when you look at … how much consumers on average in China would be spending on food, they are purchasing as much as 40 cents per additional dollar of income,” Mr. Gervais says. According to consulting firm McKinsey & Co., foreign-branded food and beverages are favoured by 34 per cent of China’s upper-middle-class urbanites. The federal government has implemented Canada Brand/La marque Canada, which has a maple leaf graphic and the tagline “Quality is in our nature” to help agribusinesses get recognition in global markets. But it is not a requirement for all growers and producers and it is unclear how many food exporters use it instead of their own in-house marketing. So should more Canadian food exporters adopt a national branding strategy so they get noticed on China’s grocery shelves? 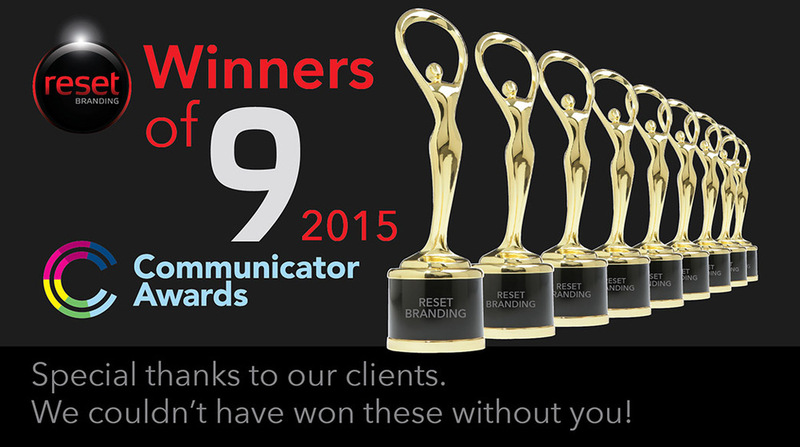 2015 has been an unprecedented year of achievements and accolades for Reset Branding and is led by internationally recognized branding expert John Miziolek. Earlier this year, John’s book, BREAKING THROUGH: The World’s Leading Entrepreneurs and Professionals Share Their Insights for Achieving Breakthrough Success, appeared almost immediately upon publication on Amazon’s Business Best-Seller List. John was also recently in Los Angeles where he was selected from 300 other published authors as winner of both the National Academy of Best Selling Author’s Quilly Award—and the award for Author of the Year. 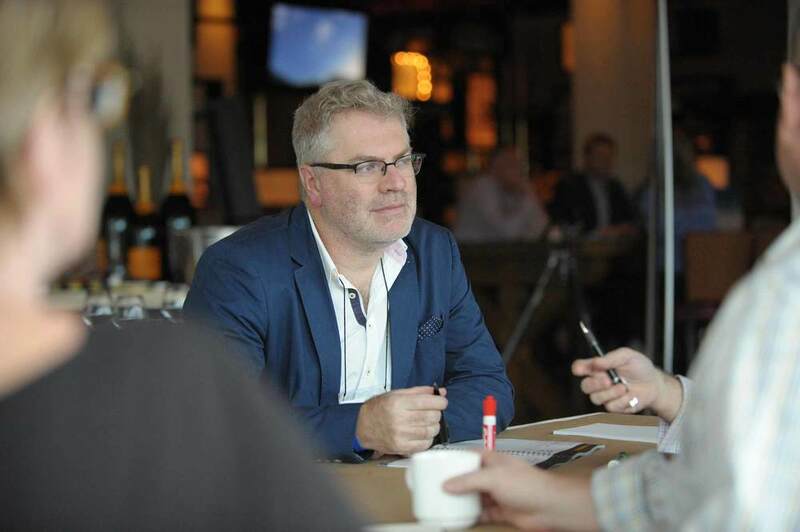 And in April, John launched a weekly marketing podcast, Design Masters Canada, where he leads timely, often controversial discussions with prominent marketing leaders from both Canada and the U.S. The Podcast was picked up by iTunes within a week of it’s launch. And if all that isn’t enough for one man, one company, one year; in January, John and his partner Franca DiNardo from Reset Branding created a Student Design Competition for their students at Humber College. John successfully recruited leading-edge marketers from the CPG sector to volunteer their time to act as judges for the event. John Miziolek, President of Reset Branding and Host and Executive Producer of Design Masters Canada, has been rehearsing with his band, Commissioner Gordon, as part of the League of Rock. The band has been rehearsing for the last 4 weeks at The Rehearsal Factory in Toronto, Canada in preparation for a live show at the Hard Rock Cafe, also in Toronto. The band will play 3-4 songs live at the Hard Rock and then record one of them at the world renowned Phase One Recording Studios at a later date. The room pictured above is called "Heaven" and John sarcastically commented "I didn't know why until I saw it myself, oh and there's a drummer somewhere in this picture." John is a huge fan of music and uses it as inspiration for his day job at Reset Branding. His favorite music is classic rock which includes bands like AC DC, Led Zeppelin and Van Halen. John is also the founder of The Next Gen Designers, a program that provides mentoring and development for young designers still attending college. John Miziolek from Toronto branding company Reset Branding and founder of the D Event, and Host and Exective Producer of Design Masters Canada is very excited about joining the League of Rock. John will take part in an immersive 10 week Rock Camp experience and is looking forward to working with some of Canada's top musicians as coaches during the course of the camp. He will have the opportunity to record a CD at the end of the camp and perform live with his band at the Hard Rock Cafe in Toronto. Canadian branding expert John Miziolek, President of Reset Branding, will be speaking at the CMA's Creative Conference on Thursday, May 7th, 2015. John's speech is entitled "Magic Sauce and the Death of the Creative Brief". John will focus on establishing standards for the creative brief and then blowing them up. At CMAcreative, attendees will spend a day with the leading creative minds in marketing and beyond, exploring the standout ideas and newest ways of thinking to help inspire and motivate them to triumph over the challenges that the new purchase journey demands. From the latest content creation to experiential phenomena to creative thinking and problem-solving, the CMA will gather experts from across the continent to share how they created and deployed imaginative campaigns. CMAcreative will focus on the development process and results. This conference includes content marketing, experiential marketing, creative development, new ways to reach creative solutions, new creative tools and platforms and showcase examples of great B2B and B2C marketing campaigns both home and abroad. John is the co-founder of the D Event, and the Host and Executive Producer of Design Masters Canada, a podcast devoted to elevating the practice of design. He is also a part time Professor of Design at Humber College and devotes significant time to mentoring the next generation of design talent. From internationally acclaimed branding expert John Miziolek, Founder of Reset Branding and Design in Toronto, business listeners will discover a rousing conversation they won’t find anywhere else. Dynamic, often controversial—this new podcast covers the new, the outlandish, the need-to-know trends in Marketing, Branding and Design. TORONTO, ON (April 16, 2015) — Presenting listeners the inside track into the tumultuous world of Marketing, Design Masters Canada will bring together today’s most influential leaders in marketing, branding and design into a no-holds-barred discussion with host John Miziolek. Miziolek, who recently authored a best-selling book on the subject, says, “It’s all about the unexpected in this business and, of course, all in warp speed. I was eager to create an immediate, dynamic forum to bring this audience into the latest conversations—to help them get not just up to speed but even ahead of it. This podcast provides that forum." A notable line-up of business leaders are in the pipeline for upcoming shows. John Miziolek, Canadian branding expert, President and CEO of Reset Branding, and Professor of Design at Humber College was recently featured by the school. John was featured for his teaching methods, accolades and experience in the branding and design industry. John has been teaching Design for 5 years and is consistently ranked amongst the top instructors in the design programs at Humber College. In the video John talks about his new best-selling book "Breaking Through" and the reasons he enjoys teaching. John Miziolek, President of Reset Branding, was recently featured in Alberta Venture Magazine. AVM is the top resource for business professionals looking for the most relevant content in all aspects of business. John contributed to an article about branding and design and the challenges faced by companies who believe their logo is a brand. In the article John talks about the mistakes that some small and mid-size companies make regarding their branding and marketing efforts. "A brand must communicate on 2 levels", John says, "the emotional and the rational. It is the difference between "I need soap" and "I need THAT soap"." If your brand is not connecting with your core audience on an emotional level they will have no reason to come back to it. This is critical in understanding how to position your brand in the most powerful way. With over 20 years of experience, John is a branding and design expert and leads the strategic development at Reset Branding, a strategic branding and design firm located in Oakville, ON Canada. John Miziolek from Reset Branding has just returned from Florida after another successful D Event. John co-founded the D Event 7 years ago with a mission to elevate the practice of design. The estimated revenue of the companies that attended this year's D Event exceeds $370 billion. 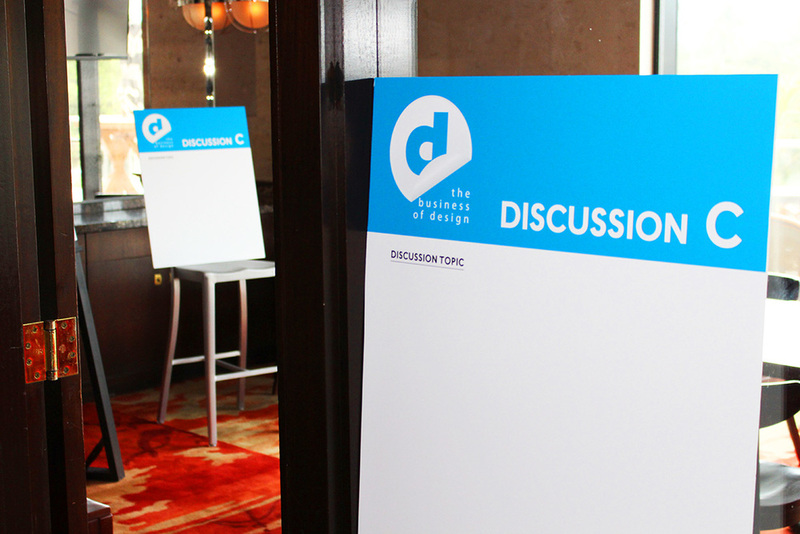 Now in its 7th year, D is the one event that spotlights design as a strategic business tool. It’s the one event where the setting is completely free of suppliers, so the only focus is sharing and connecting with other senior-level corporate design and business leaders. And it’s the one event where attendees help shape the agenda—by letting us know your most important issues and challenges before we meet. The D Event isn’t for just anyone. This exclusive roundtable summit was created specifically for visionary, consumer-facing brand owners and retailers. After almost 6 months of planning and 10 weeks in the classroom, the Humber Student Design Competition finally concluded on Friday, November 28th, 2014. The event was a huge success and the quality of work presented by the students was outstanding. Special thanks to our judges from Kraft, PepsiCo and Reckitt Benckiser for graciously donating their time and providing great feedback to the finalists. 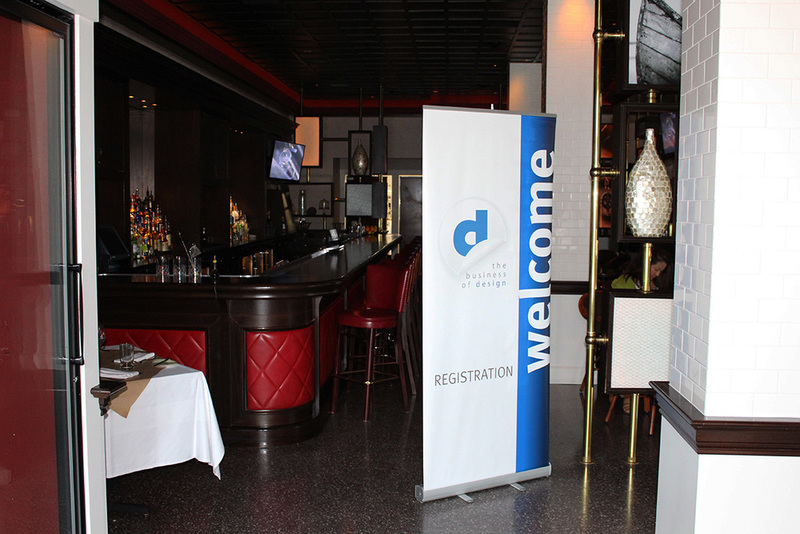 The event was organized and sponsored by John Miziolek and Franca DiNardo. They believe strongly in giving back to the design community and mentoring the next group of talented young designers. Both John and Franca are part-time instructors at Humber College in the Package and Graphic Design Program. Over the course of the project John recorded a weekly video to keep the judges up to date, and the students excited (and awake). John Miziolek Cleans Up At Hollywood Awards Gala! John Miziolek, Co-Founder and President of Reset Branding, recently joined accomplished business leader and dedicated philanthropist Dr. Nido Qubein, president of High Point University, along with other leading experts from around the world to co-write the book titled, Breaking Through: The World's Leading Entrepreneurs and Professionals Share Their Insights for Achieving Breakthrough Success! 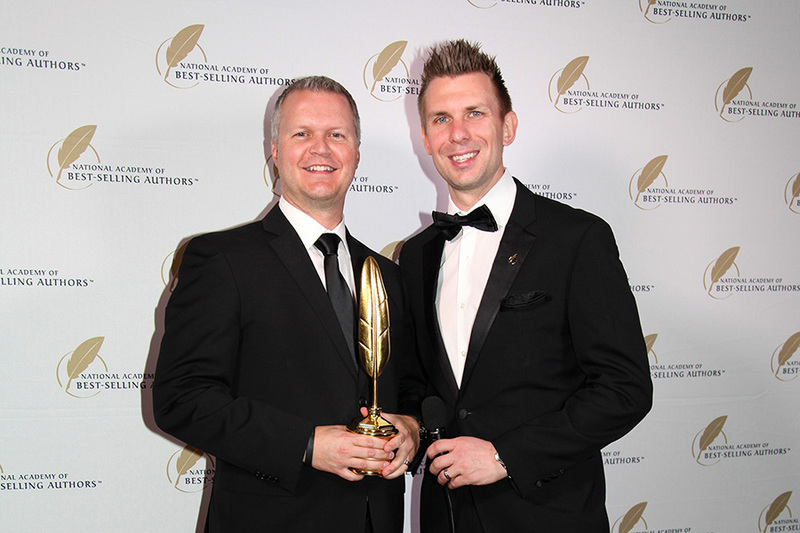 John flew to Hollywood in September to accept two awards from the National Academy of Best Selling Authors: a Quilly award for achieving best selling status on Amazon.com, and the Author of the Year Award. John was chosen by the Editor from a group of 300 other authors. John Miziolek recently developed and organized the 2014 Humber Student Design Competition. The final judging event took place at the Lakeshore Campus of Humber College on Friday, November 28th, 2014. To honor the judges who graciously volunteered their time to be part of this great event, John designed and hand-crafted commemorative awards. The judges represented a cross section of companies from the consumer packaged goods industry. PepsiCo, Reckitt Benckiser and Kraft Canada were all represented and the judges did an amazing job providing feedback to the next generation of designers. These awards utilize solid alternating blocks of Walnut and Wenge wood. Wenge is a beautiful hardwood found in the African Congo and Walnut is a stunning hardwood from North America and Europe. 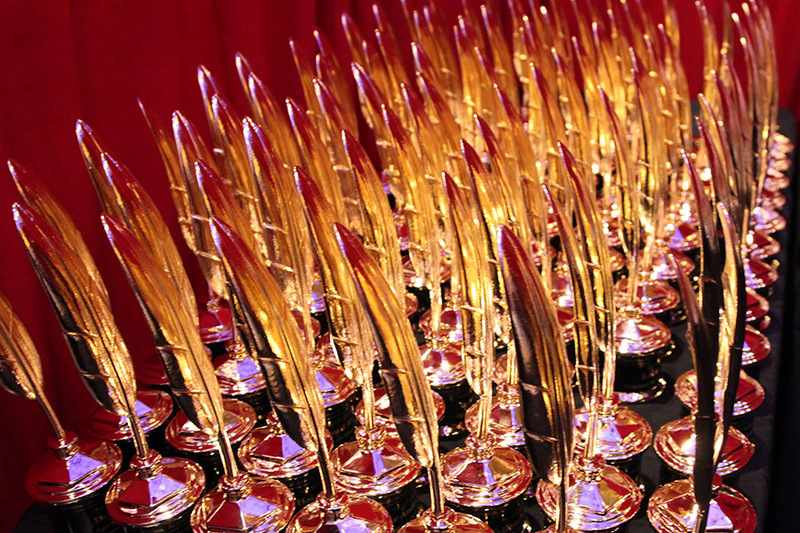 The awards were designed to convey strength and stability and were customized with each of the judges names. The awards were finished with a satin varnish to accentuate the grain in each of the woods. The awards were presented to the judges at the end of the event. © 2017 John Miziolek. All Rights Reserved.